Downey Daily Photos: Yard sale leftovers? 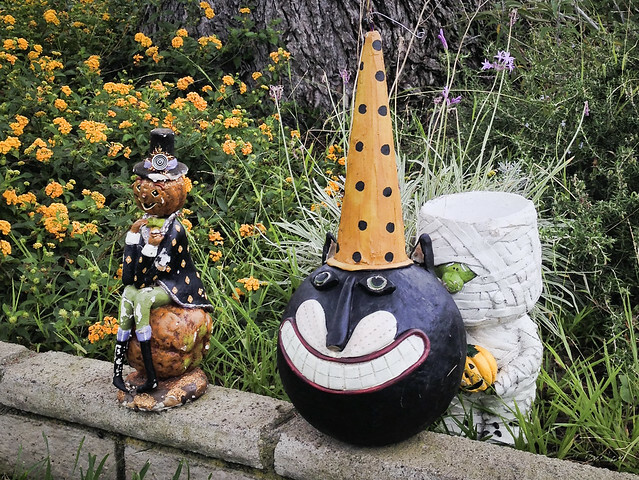 On a walk the other day, I stumbled across these Halloween decorations sitting on the edge of a flowerbed, closer to the sidewalk than to their house. Were they yard art, set out three months early? Or were they leftovers from a weekend yard sale? I don't know, but I sure thought they were cute. Especially that mummy with the green nose poking out.